AIM: To load trucks while avoiding particle attrition. 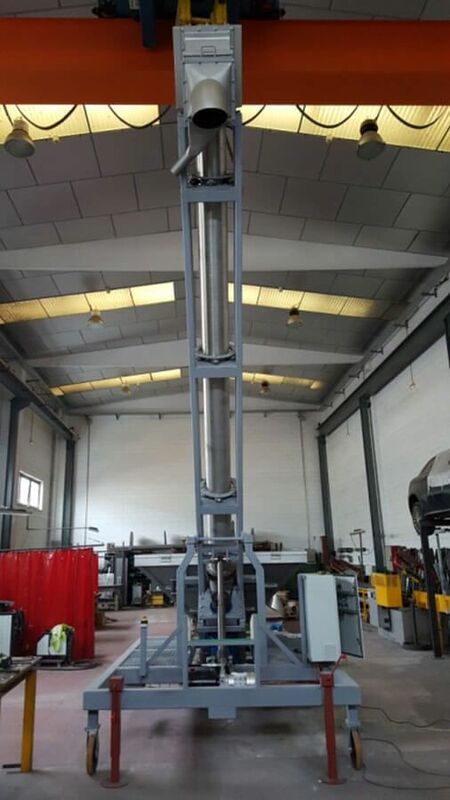 SOLUTION: an elevator OLDS 8 m high and 355 mm in diameter allows loading trucks at a rate higher than one truck per hour. That has been a substantial improvement from the previous system, resulting in big gains for the customer, allowing their trucks to be on the road instead of being idle at the parking slot. 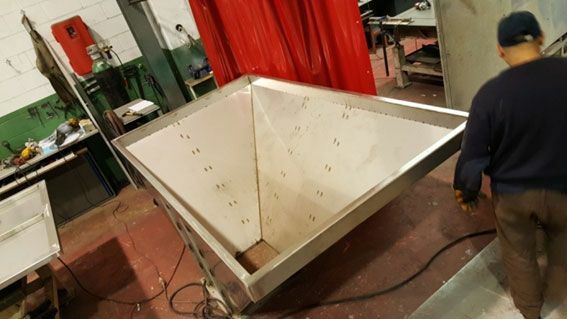 Also, the end product shows a better condition, with no particle attrition according to Laboratory results, meeting the requirements and satisfaction of the customer. 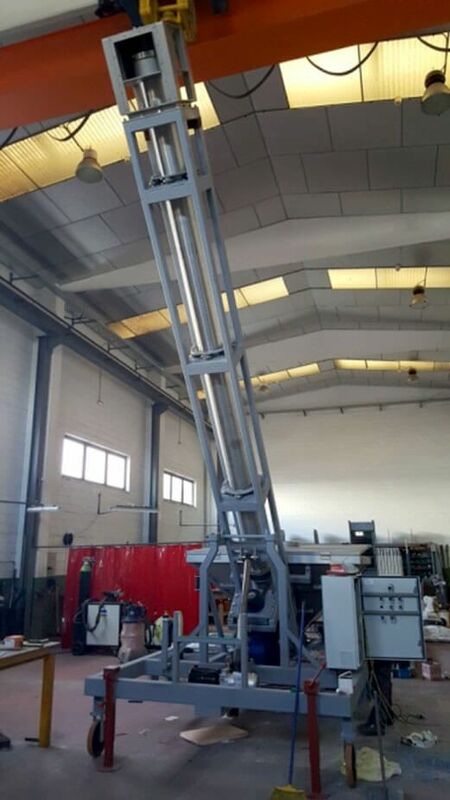 SOLUTION: a mobile OLDS ELEVATOR (model called ‘LORRI’), on wheels, for loading the trucks from the customer’s fleet. The Olds Elevator LORRI is a versatile machine, that adapts to the different heights of every specific truck tank and, obviously, able to move around with ease, instead of mving large trucks. LORRI has allowed a substantial improvement from the previous system, resulting in big gains for the customer, allowing their trucks to be on the road instead of being idle at the parking slot. 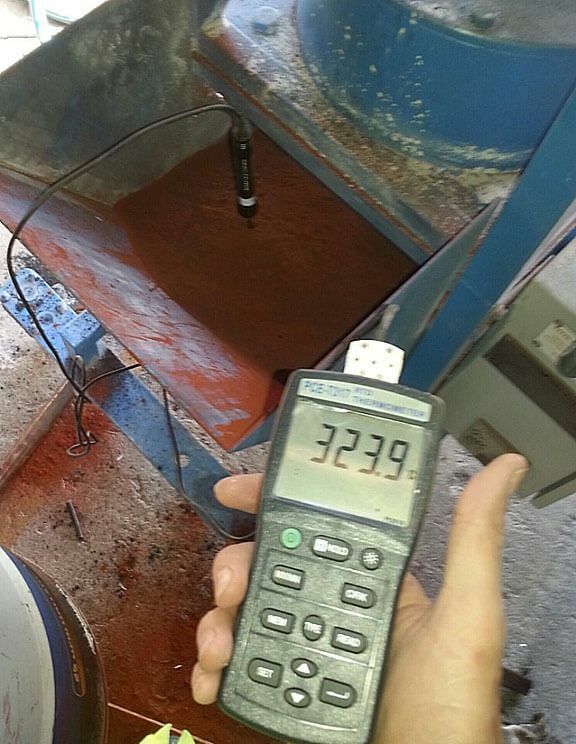 SOLUTION: tests are carried out and the product is conveyed, without almost any dust being formed. 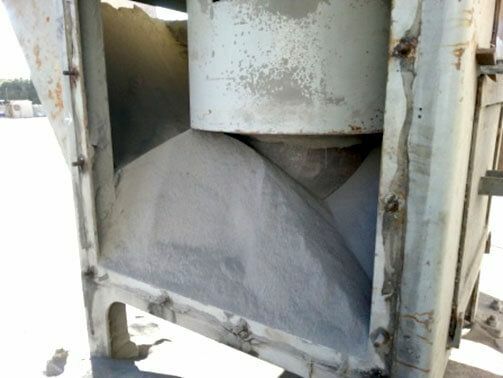 Using others systems like bucket elevators or pneumatic system, resulted in dust produced that affected all the surrounding area, harming the machinery near-by and resulting in great expenditures in maintenance. OBJECTIVE: to elevate hot foundry sands. 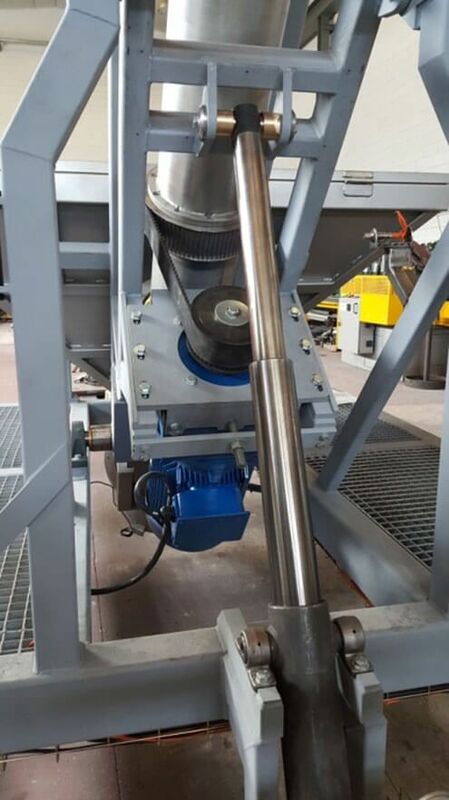 SOLUTION: a small foundry in Queensland (Australia) acquired a new sand mixer in 2002 to automate the process of mixing of additives in the sand used for molds. 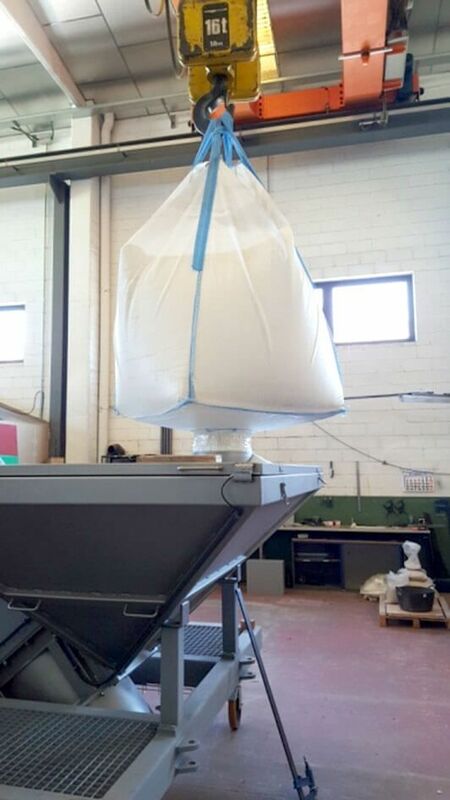 The mixer required that sand was elevated up to 6 m high into its hopper. Unsatisfied with traditional conveying systems (bucket elevators, pneumatic system, screw conveyor, etc) the owner, Peter Olds, conceived a design on his own. The result was the ‘Olds Elevator’. Since its start up in March 2003, it only required a replacement (the lower part of the inner screw, after eight years of performance). 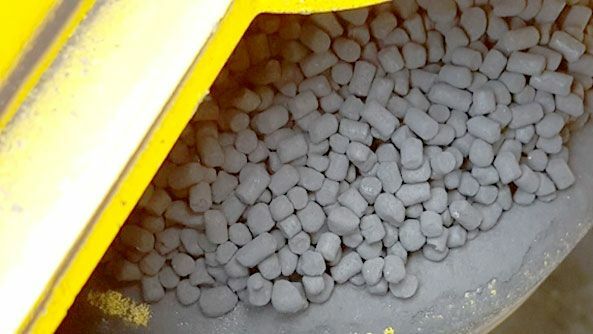 AIM: Avoid particle attrition of fragile carbon pellets during their elevation into a tank. 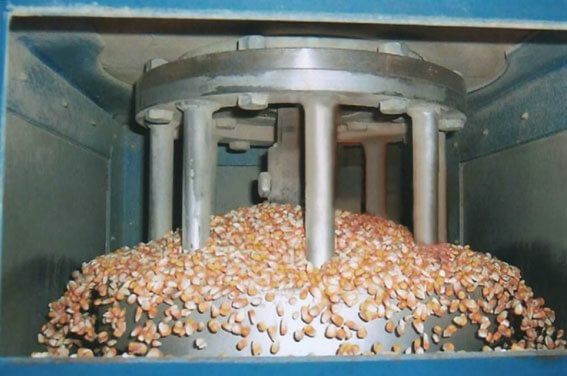 SOLUTION: by means of the Olds Elevator system, the customer avoided breaking up pellets. Until that moment, they had great losses using a screw conveyor. 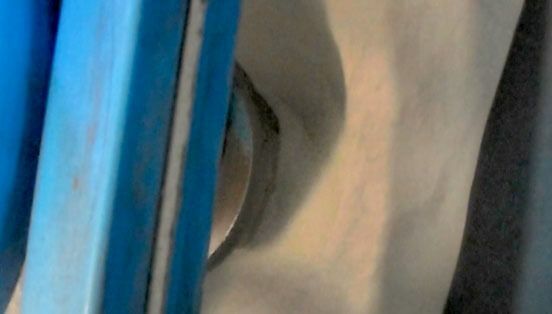 The large gap between screw and tube in the Olds Elevator allows avoiding particle attrition. OBJECTIVE: to elevate peeled hazelnuts with minimum damage to the particle. 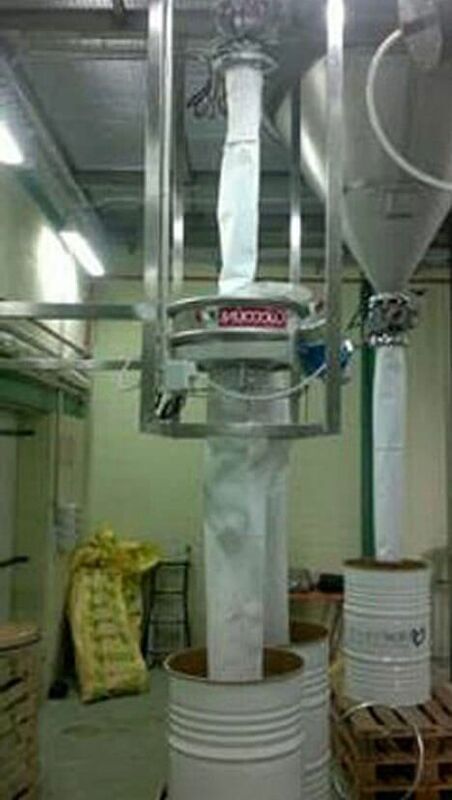 SOLUTION: through the Olds Elevator system, the customer elevated peeled hazelnuts, with no visible damage on the fruit. 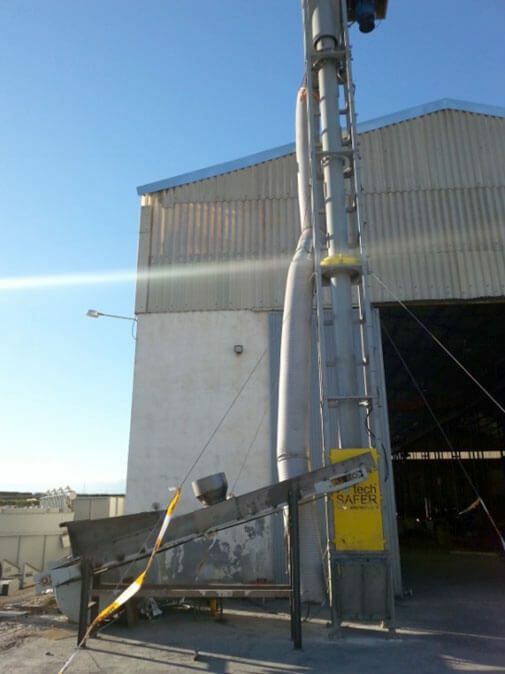 This was also achieved with the smallest footprint possible. 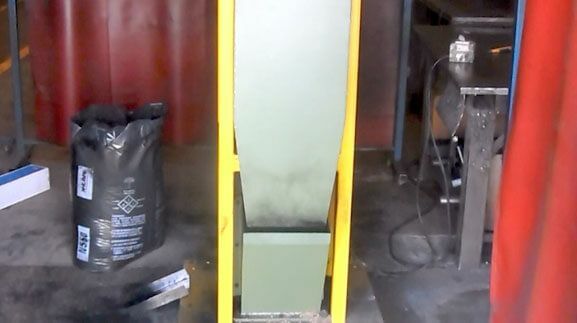 SOLUTION: With the Olds Elevator technology the customer managed to convey such an extremely fine product as Carbon black, with minimum dust produced. Pollution and maintenance costs in the facility have been greatly reduced in accordance. 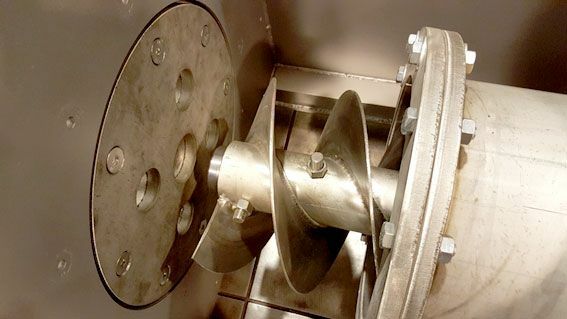 SOLUTION: the customer met the solution to both metering and elevating with just one device: the Olds Elevator. 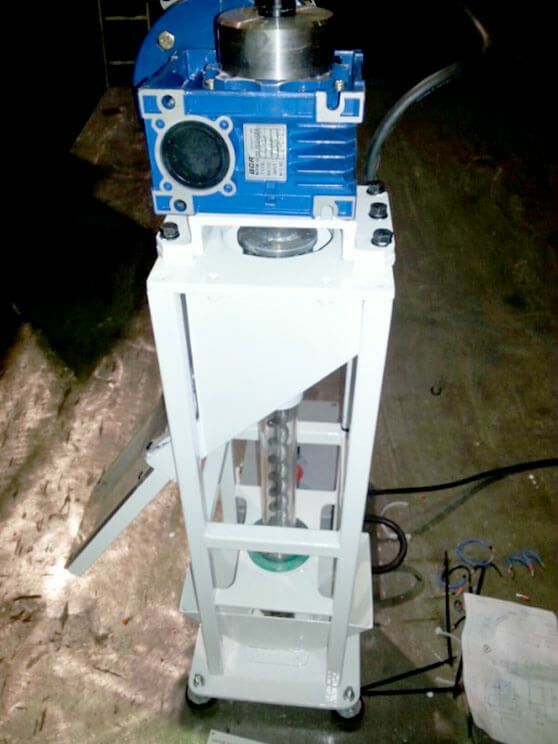 A small Elevator for laboratory use was manufactured, as required by the customer. 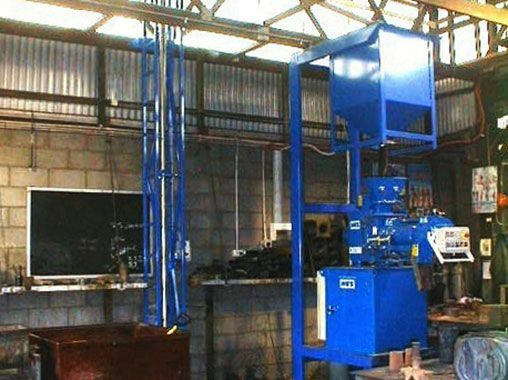 Since the Olds Elevator system conveys at full-bore, the equipment allowed precise metering, while at the same time elevating the product. Much space was saved thanks to using just one device for the purpose. 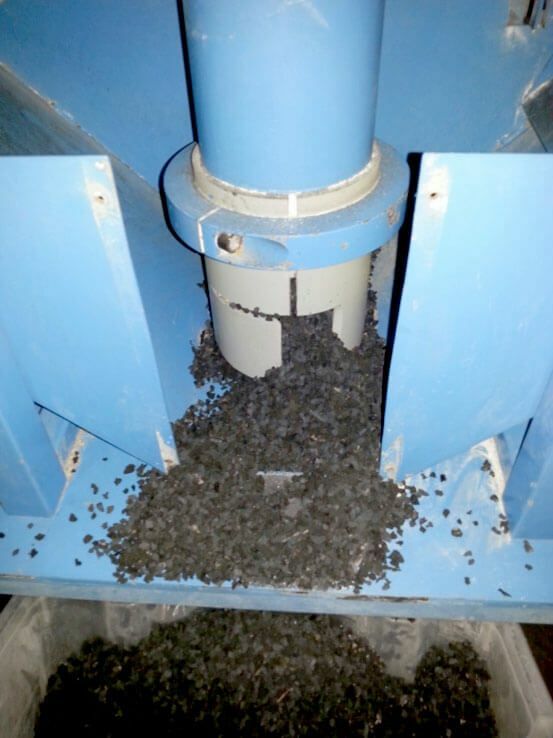 SOLUTION: The Olds Elevator was able to elevate a product as complicated as shredded rubber tires. 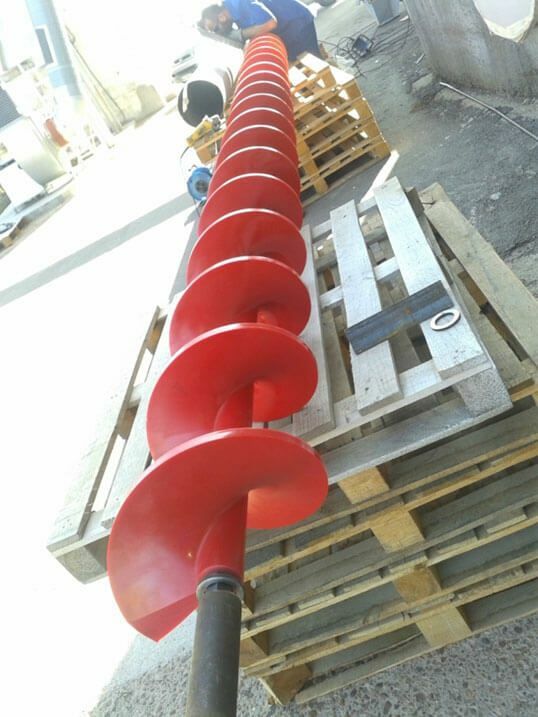 It is a product that is easily clogged with other transport systems, specially with augers. 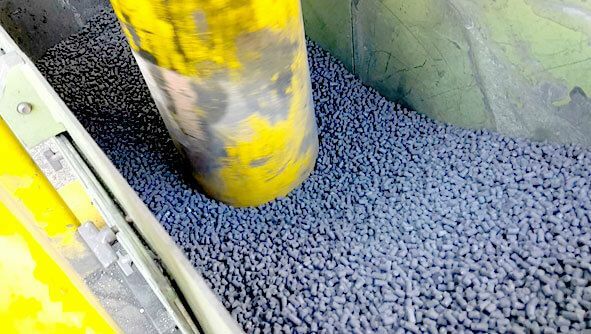 Using particles up to 80 mm in diameter, the system OLDS managed to elevate this product smoothly. SOLUTION: Shavings are generally difficult to handle. They have low density and irregular shapes. That makes them difficult for conveying through most of the conventional conveying systems. 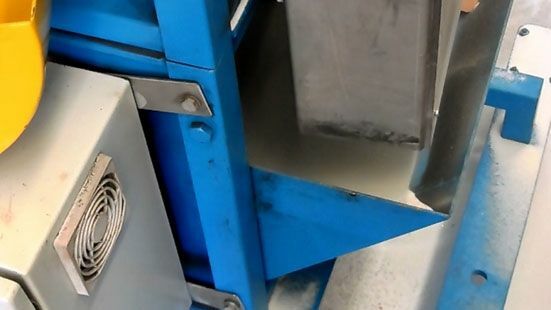 The Olds Elevator could elevate metallic shavings without getting stuck thanks to its versatility and through proper regulation of the lower scoops (photo). 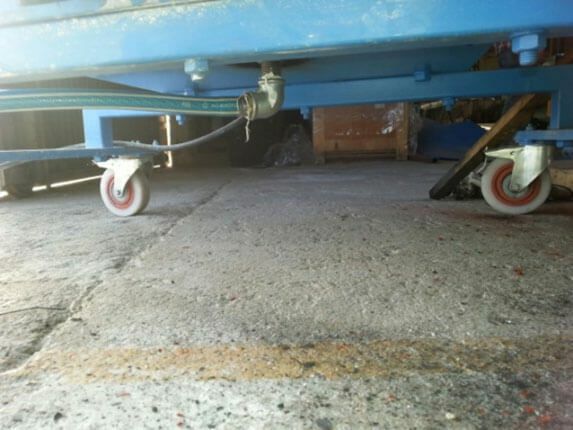 SOLUTION: The customer wanted to replace a cooler and a screw conveyor in order to save space. Given the fact that the screw conveyor was inclinated, it took up very much space. 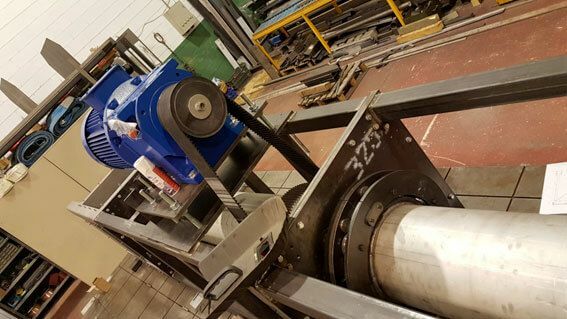 The Olds Elevator can handle hot products, up to 800º C. This is possible thanks to the ability of the rotating tube in the Olds Elevator to expand to a greater extent than any other conveying systems, which in general do not tolerate such high temperatures. 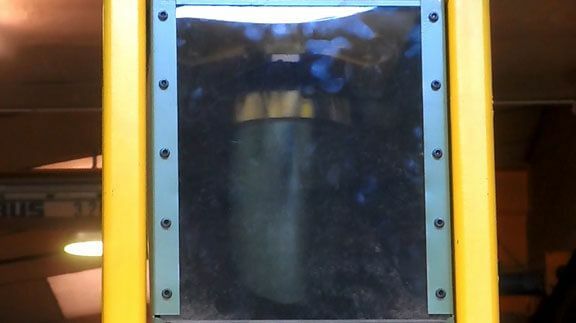 SOLUTION: The Olds Elevator system allows elevating products with minimum or no dust generation. Frit, similarly to sand, can cause serious lung problems. 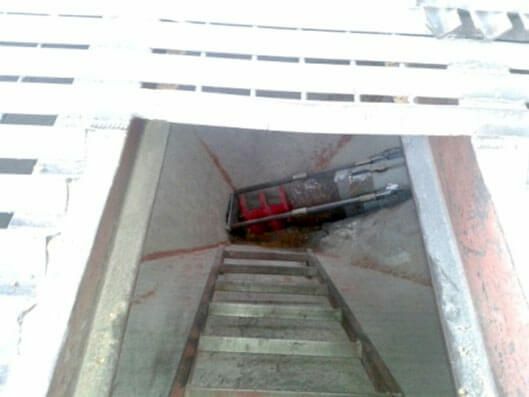 The Olds Elevator was able to avoid breathing issues thanks to conveying at full-bore. 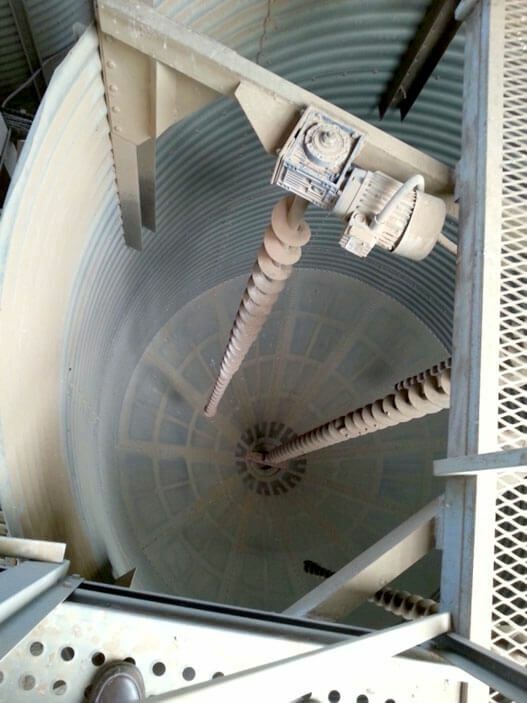 SOLUTION: The Olds Elevator installed intended to elevate corn without breaking the grain. The client had little room between conveyor and storage point. Only an Olds Elevator seemed the only possible solution able to fit in so little room. 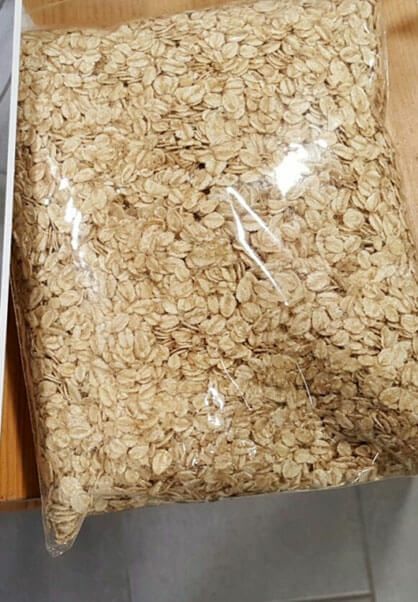 SOLUTION: The Sieve model VP2 800 from Virto-Cuccolini acquired by the customer allowed to handle such fine products like oatmeal and spices in foil, with minimum breakage and rejects generation. 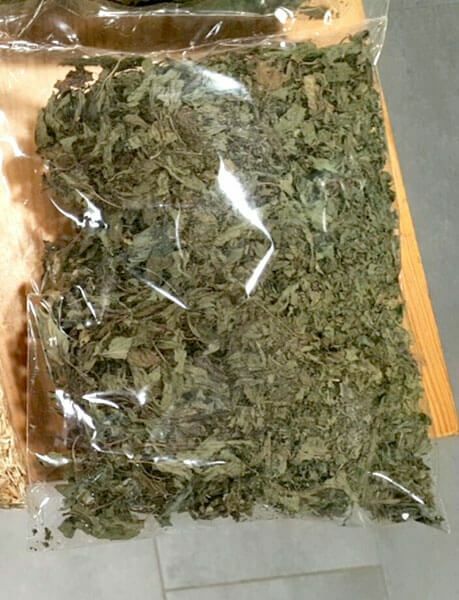 The customer got his bags free of small particle, giving his product a better commercial aspect. 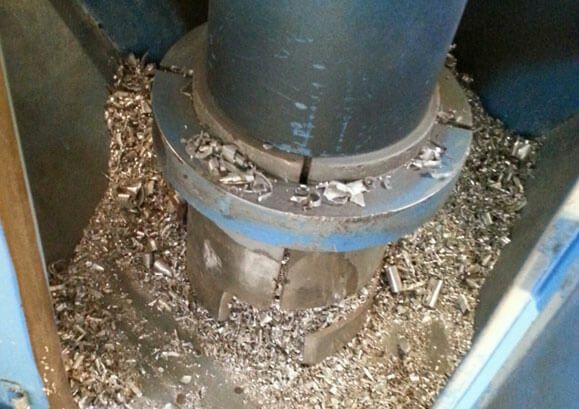 SOLUTION: Control Screening for recovery of welding rejects. 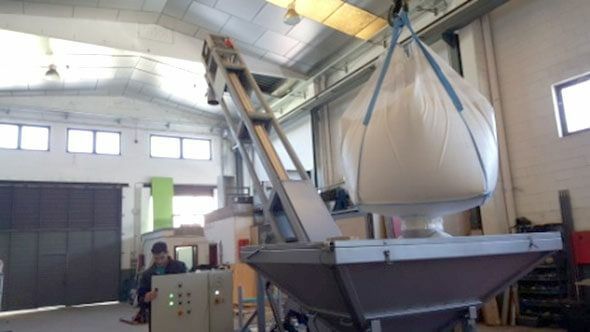 SOLUTION: Security sieving using two different machines, for two different production lines (VP2 500 and VP2 800 models). 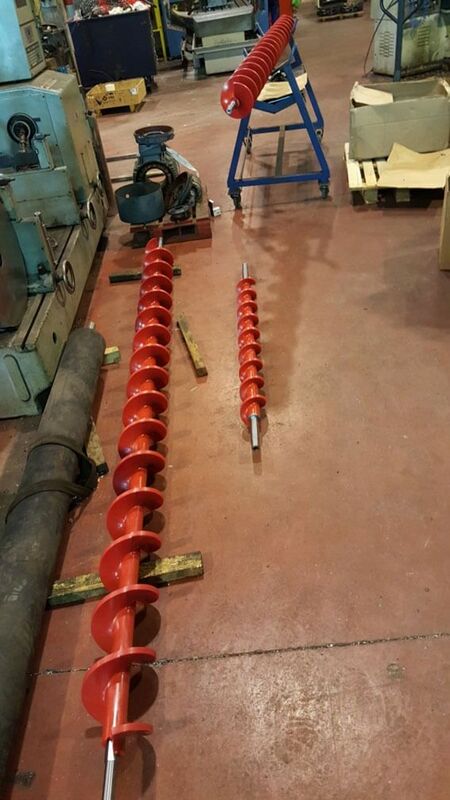 SOLUTION: The ARCHIMEDYS modular screw has managed to be in service for 3 years without changing any module. Previously, the customer used to have conventional screws in place. They would be replaced in less than a year. The customer is very pleased to be able to replace immediately if any modules is worn out (they have them in stock at their own warehouse).Their own maintenance personnel can perform the operation immediately. 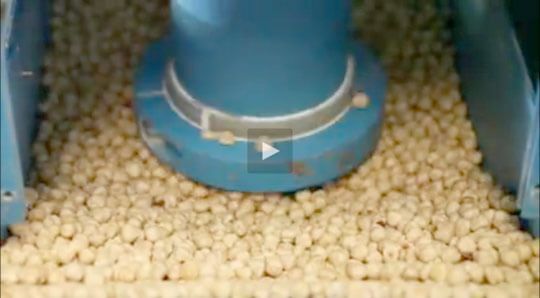 AIM: Agitation of hazelnuts in drying silo. 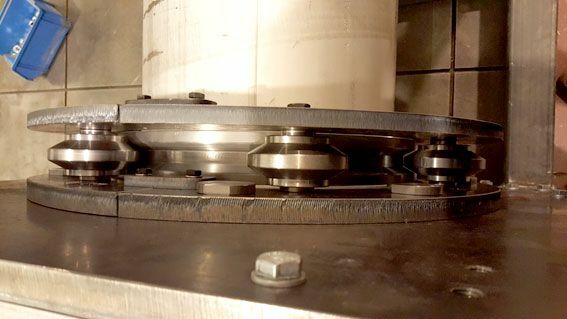 SOLUTION: The client was looking for a solution to high wear out caused by hazelnuts to their augers in the drying silos. 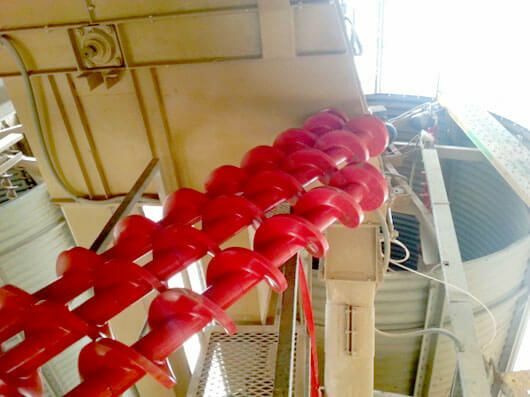 The ARCHIMEDYS modular screw enabled the customer to quickly replace the desired modules. Usually they would need to replace only the lower parts. Archimedys, being a modular solution, allowed them to do so, leaving the rest of the screw as it is. 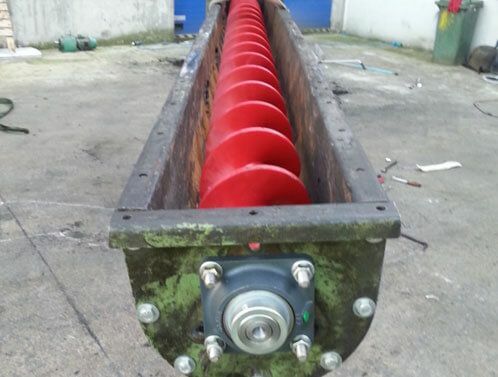 SOLUTION: The ARCHIMEDYS modular screw has ‘very satisfactory’ results, in the very words of the customer, for conveying various metallic pigments. The new modular screws last approximately twice as much as the conventional carbon steel screws. 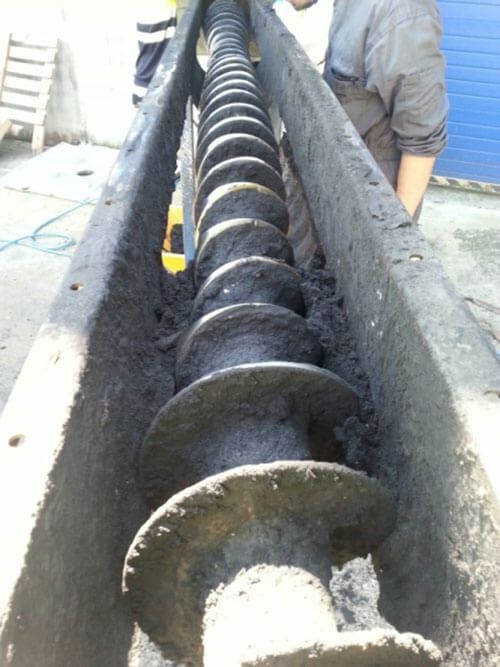 Adding to this, is the fact that the worn out parts can we replaced any time, and only these specific parts, not the whole auger. 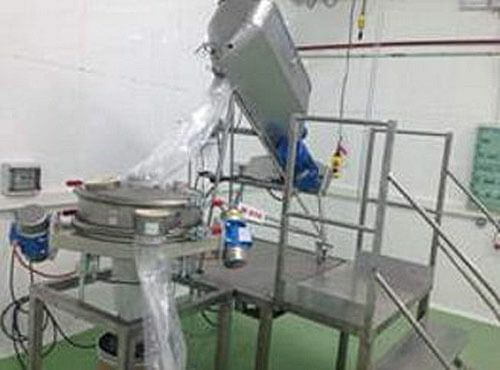 Again, the replacement can be done by using modules in stock and by the maintenance team of the company, at the time. 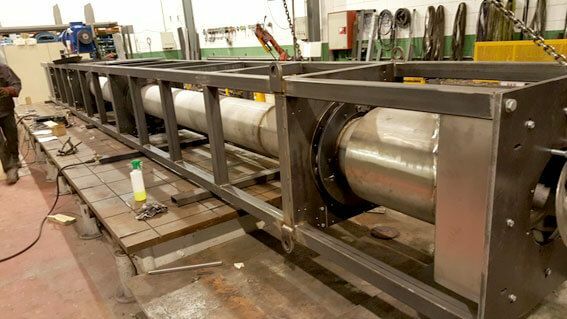 SOLUTION: The ARCHIMEDYS modular screw allowed the client to remove one intermediate bearing and increase product flow. These advantages are a achieved thanks to the lower weight and better ‘grip’ of its modules. 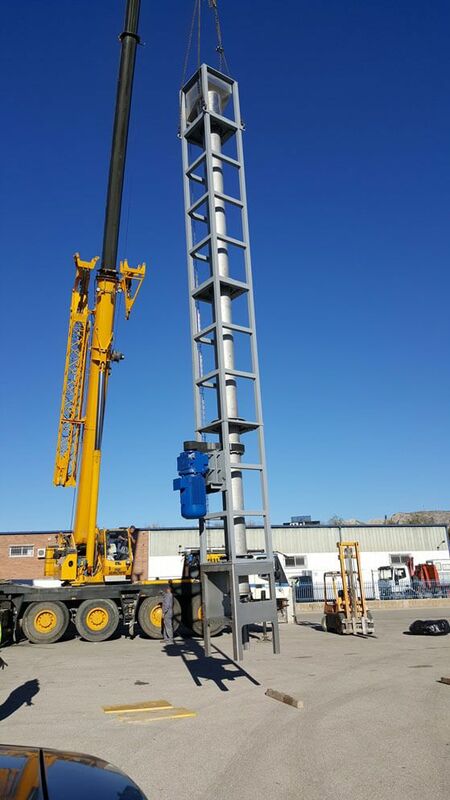 The installation allows the screw modules to be easily replaced, in a specific configuration where the maintenance crew has little room to work in.